A deliciously creamy sauce with spicy chillies balanced with sweet coconut milk and zesty kaffir lime. 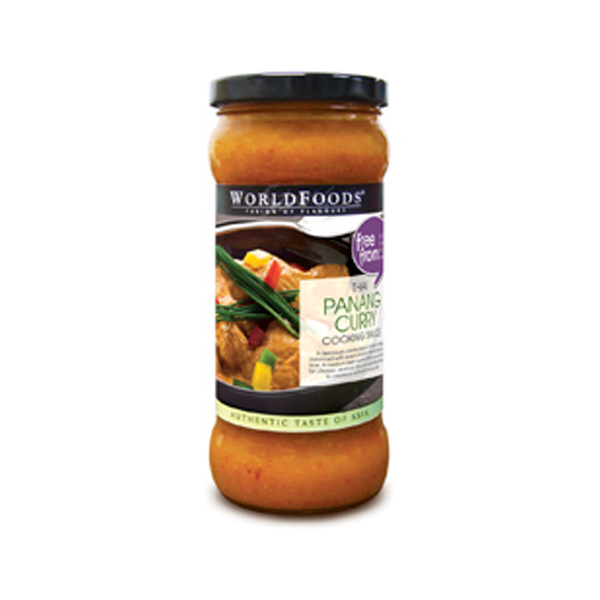 A medium heat creamy stir-fry sauce suitable for chicken, seafood, tofu and vegetables. Perfect to create an authentic Panang dish.